Obtain a copy of the textbook (Lee, 2008, Visualizing Elementary Social Studies Methods). The bookstore should have it; Amazon has it; used copies are fine. Think deeply about the trade-offs of having a social studies methods class on Martin Luther King, Jr. Day. Group F: Internet links . Group G: Discussion: What do you remember from your elementary social studies experiences? If you can't remember any, feel free to move up to middle level. What topics did you do? What did you read? Watch? Discuss? What sorts of tasks or assessments did you complete? Group: Look over the list and create GROUPS of items that seem to be similar. Make your initial self-portrait, turn it in via CourseSite. Don't forget that there is a template and an example. Update your profile in CourseSite to include your picture. Make your initial self-portrait, turn it in via CourseSite. Don't forget that there is a template and an example. Let me know if you're having trouble submitting. Any problems turning in first self-portrait? Getting to the reading? 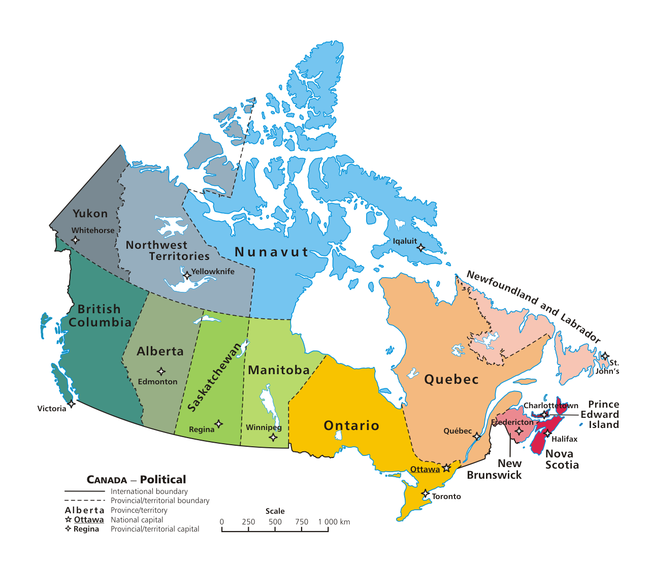 Geography two ways: Map quiz; considering WHY names are what they are and not just 'what' -- see WP political maps of Canada, Mexico, and Guatemala. Fill out my Input form for next week's activity: Info on one pair of shoes, one textile item. Complete your original instructional material item #1 AND write up a brief description of its intended use. That info about your clothing...what did I do with that? Here's the kml file, if you want it. "old" standards (K-12) -- these are the ones that are still legally binding, and the only format I can find them in anymore is a single, flat webpage. So: search for a useful string such as "civics and government" or "academic standards for economics" (or geography or history). National content-area standards: Browse my listing in our course bookmarks. NCSS 'thematic strands' -- after working with these for a while, I finally get why they're NOT standards. They're about balance (not neglecting certain areas) and taking the long view -- they are NOT a roadmap of content or skills. ...what do you need to cite and when? Before we dive in, let's do a little KWL on geography. Nothing exists in Pennsylvania at the state-wide level. Within districts in PA, nothing is posted at ASD (at last check); BASD has grades 3 on up. I'm going to use Indiana's social studies curriculum as an example, since (a) it exists, and (b) it singles out geography as a continuing topic throughout K-12. This scope-and-sequence guide is pretty clear, too. Demo lesson: Mapping an orange (Map projections) -- see one version of the plan here. "Dymaxion" map or Fuller map (Buckminster Fuller). Popular contemporary projections include the Winkel Tripel ... it's a more satisfying trade-off between spatial accuracy / distortion and readability. Static maps & globes -- you can find a wealth of static maps online. Feel free to start here. Globes -- Google Earth is of course the kingpin here. See a blog of teaching ideas for using Google Earth. Groups within Flickr can have their own maps -- I'm partial to the map from the Islam\ group. ...and now to re-visit that KWL form (above) and complete the last step. View the results ... how did we do? Take a moment to look for info online about ESL and/or special needs students and geography. For example: here's an ESL social studies unit. What other methods do you know? (E.g., a WebQuest, a simulation or role-playing activity.) How might they fit into your categories? Teaching geography and world cultures: "Them" is "We"
Additional visuals (note that plenty more can be found in, among other places, flickr). Enactive -- note that this will require some tweaking for younger learners...more scaffolded math process (or eliminate it altogether). The technique, however (i.e., giving an EXPERIENCE of a topic) is invaluable for all learners, but particularly younger ones. How did the previous activities ("What the World Eats", YouTube clips, population density enactive) reinforce or challenge a Single Story about different cultures / places? Consider a sample material: Haitian voodoo flag. Poses many possibilities (e.g., combine with writing or math activities), but is also a complex, easily misread artifact. Assuming you had one in your possession, what's one GOOD idea you might have for designing instruction? What's one DANGEROUS line of instruction, one that would lead to "othering" / stereotyping / a Single Story? Put it into action: Where in children's lit can we find multiple stories / perspectives on cultures? On historical events? Complete original instructional materials assignment #2, bring to class ready to share. Don't forget to do the reflection, and do check the requirements for topics to address. Assessment overview -- memories from elementary? TIME PERMITTING: Pedagogical options, re-framing: trivial / interactive / authentic** Demo lessons with images** Hide-and-seek within an image**** The image I used came from the Library of Congress' American Memory project--great source for getting photos PLUS contextual info. Slow reveal of an image (again, image source is NARA child labor activity)***** The source of the image is the National Archives. They put together an activity on child labor; see a larger list of such activities here. Great source material for activities--excellent content, great ideas on pedagogy. Zoom-in / shifting focus. Note that this requires (a) a very high-quality image, such as a TIFF, and (b) an image viewer that will allow you to move around in the image without too much hassle. What was authentic, interactive, or trivial about what we just did? POST your material to your WTL thread. You don't need to also post the reflection, but do give contextual info on what the product is, how it works. The image I used came from the Library of Congress' American Memory project--great source for getting photos PLUS contextual info. The source of the image is the National Archives. They put together an activity on child labor; see a larger list of such activities here. Great source material for activities--excellent content, great ideas on pedagogy. What is it we're talking about when we talk about history? History instruction? Florida standards for grade 4 . Story of Aaron – note that this is drawn from the Geography of Slavery database at the University of Virginia's Center for Digital History. ...and, of course, Sally Hemings. Closure on teaching history: How was what we just did similar to / different from what you expected? How does it change things (or not) for your students? "Authoritative" sources--archives, libraries, museums, etc. See especially their "Teaching with Documents" lesson list. Great materials, great lessons. Run then as they are or modify them for your purposes. Virginia Center for Digital History. Text: Wikipedia (see especially wikipedia in different languages), blogs, discussion boards, twitter feeds. "Pre-packaged" content--repositories of lesson plans, activities, etc. Three questions about the Pledge of Allegiance. What is your vision of yourself when teaching history to elementary students? Views and uses of Wikipedia. What kind of history? Open or closed? What structures can we use that will make sense to teachers and students? What connection can we make to the aims of social studies education (citizenship prep)? What is your vision of yourself when teaching elementary students about history? Any changes from your earlier answer? Optional: If you want to dig deeper into history ed, I loaded a bunch of additional articles: Barton & Levstik, VanSledright, Tiemann & Fallace, etc. Sign up for microteaching and then view the schedule (once it goes live); if you're slated to teach next class, please prepare. Where do we stand on assignments? Silent timeline, two ways. What other ways could we do this? Google Earth & chronology (plus a little how-to on Google Earth markups), focusing on European voyages of exploration -- here's the file, if you want to play with it. Also note the framing: Opening question, working with primary sources. ...so how would that work with students with different needs? What's so special about civics? Fun intermezzo: Questions from the US Citizenship Test. Flashcards here, quibbles with the answers (and quibbles with the quibbles) here. Knowing about local events, access: As a form of tracking current events, consider local newspapers, especially photo features. Example of the challenges: LehighValleyLive, Bethlehem section. Example of the opportunities: Morning Call photo gallery--see especially the daily photos feature. What civics information is presented here? Keep in mind that MOST of what you see about them on their official sites is PR / spin / not to be taken too seriously. What's important here? How might you make it accessible to young learners? One useful bit of information is the member's office location. Is there an office close to your home or school? Can you visit? Make a field trip? Invite a speaker to come to your class? What legislation have they sponsored? Look in the Library of Congress' site (thomas.loc.gov), "Browse Bills by Sponsor"
Where did this legislation end up? Which committee did it get referred to? Where did it end up? You can also get an overview of the member's (or candidate's) finances via their profile page. Start here and search --see the right-hand side of the page, "Search database by:"
WHO: Find your state legislators (assuming you're a PA resident--feel free to try NJ or elsewhere; I just don't have the links handy). Again, MOST of what you see about them on their official sites is PR / spin / not to be taken too seriously. What's important here? How might you make it accessible to young learners? Again, find their office location. Is there an office close to your home or school? Can you visit? Make a field trip? Invite a speaker to come to your class? WHAT: Not nearly as active / current as the federal info, but it's here: search the session information. WHO PAYS: Again, not as well organized as OpenSecrets, but PA (like all other states) keeps records, some of which can be searched here. Place the member's (or candidate's) name in the "Recipient" field and note that you may have to fiddle with the range of dates. Armed with this knowledge, how might you participate in government? SOCIAL JUSTICE-ORIENTED citizen: Project Citizen. FYI: Allentown has very active Project Citizen participation, both in terms of the academic side and the community action side. If you're interested in being involved, please let me know! Conceptual work: We'll start with this handy-dandy survey about your comfort / familiarity with some of tonight's topics. Input here, output here. WTL: In your group of three, take your assigned article from Teaching Exceptional Children (available electronically via the Lehigh Library) and assign roles: one person to summarize the article (in 200 words or less) and two people apply the information in the article to their own instructional planning (e.g., unit plan, curriculum map, microteaching lesson, original instructional materials products -- wherever you see a connection.) Feel free to respond to others' posts, but you don't have to. Enthusiasm gap with economics in elementary ed. Case in point: Our textbook. For the appropriate content organization (and hence disciplinary cheerleaders), meet the Council for Economic Ed . Lesson plan database , of course. As an example of something awesome / radical / mind-expanding, check out the CEE's Play-Doh Economics (video, PDF of first edition). We'll be doing an activity from it next week. Economics (like civics) -- sooooooo active & hands-on. Don't believe me? Try my "economics of candy" lessons. Question about economics education and doctrine--to focus us, let's take a look at pp. 4 & 13 in the PDE economics standards (pdf). Does it have to be this way? Discussion of unit plan: What's required in a lesson plan, what supporting materials are due, etc. WTL -- just be sure to complete the "Teaching Exceptional Children" activity from the previous week. If you're already done: Respond to a peer's post. option B: Feel free to design something based off of the Weaving the Globe activity (kml file). option C: Feel free to use one of your own lessons or locate a source besides one of those linked above. option A: adapt this lesson plan. option B: Feel free to use one of your own lessons or locate a source besides one of those linked above. option A: select any activity from this page of the NLVM and adapt it. Course evals. In addition to the paper forms, you can also submit anonymous feedback straight to me, if you wish.